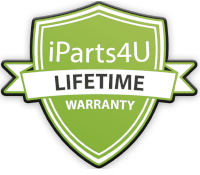 If you need to replace your white charge port on your iPhone X, then this is the replacement high quality charge port for iPhone X provided by iParts4u is the perfect solution, this repair will take between 50-90 minutes dependent on your technical ability. If you need any help please let us know. We would recommend that customers watch a few repair videos before undertaking this repair. Please also ensure you disconnect the battery before undertaking any repair work.- also, ensure you do not lose any of the screws by using a screw holder such as the one recommended below! As this repair can be difficult, we would recommend that only professionals undertake this work as damaging your phone can be much more costly. Please get in touch with us here if you would like us to quote you a price for repairing your broken iPhone X. If you don't have any tools to do this repair then you may want to look at our professional repair kit we have put together click here for more info. · Special tooling is required when disassembling and reassembling the iPhone X.